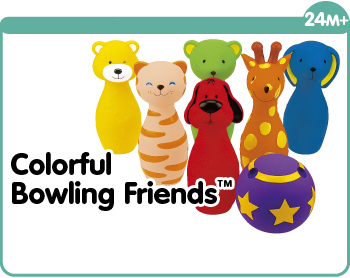 Activity Teddy with rich educational values - play and learn at the same time! 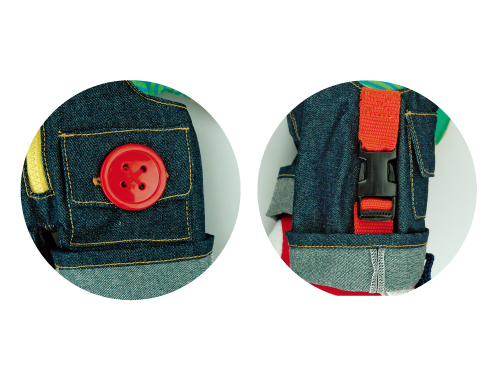 Zippers, velcros and buttons enable kids to learn dressing skills. 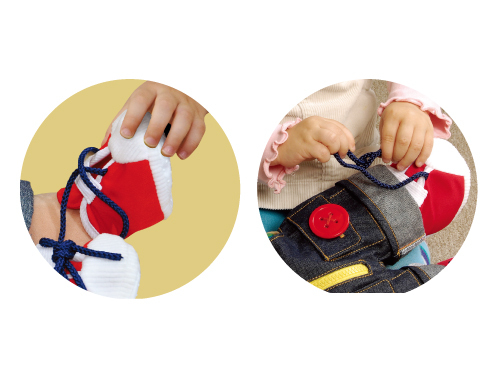 Allows children to practice tying shoelaces. Method: Teddy Wear is soft and cuddly and great for hugging. 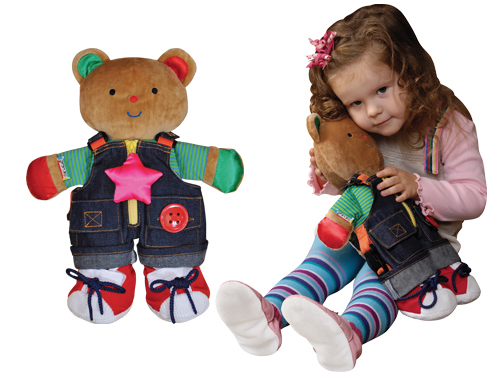 By hugging Teddy Wear, children gain a sense of security, and learn to love and care for others. Teddy Wear is also a great sleeping buddy. Method: Teddy Wear is made from different materials like plastic, satin, fur, denim and cotton fabrics etc. 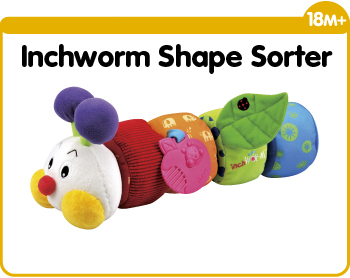 Encourage your child to touch and feel the hard, soft, smooth and coarse textures. 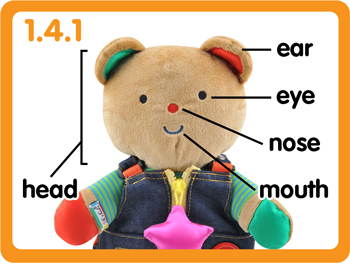 Method: Parents can use Teddy Wear to teach children facial features such as the eyes, nose, ears and mouth, and body parts like the head, arms, legs, feet, hands, tummy and tail. Method: Parents should encourage children to point to the facial feature or body part that they name. Method: Use Teddy Wear to demonstrate actions to your child. Actions may include sitting, walking, jumping, clapping and covering his face etc. Then encourage your child to try out these actions for herself. This trains her gross motor skills. 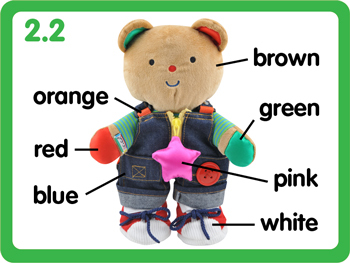 Method: Use Teddy Wear to teach children to recognize different colors. Method: Parents should encourage children to point to the color that they name. Method: By helping Teddy Wear change clothes, children can also get into the habit of changing their own clothes and taking care of themselves. Method: Children can help Teddy Wear put on and take off his shoes. Children can experience the fun of putting on shoes before they learn to walk themselves. 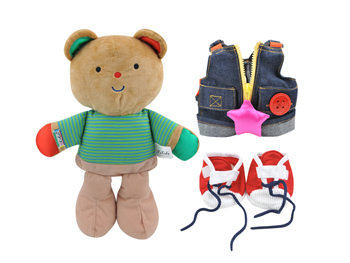 Method: Children can learn to tie their shoe laces by practicing on Teddy Wear's shoes. 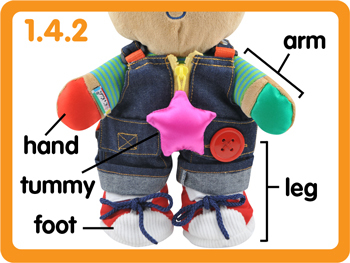 Method: Place Teddy Wear, his clothes and shoes separately. 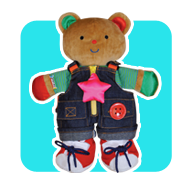 Then let your child help Teddy Wear change his clothes, put on his shoes and then tie his shoelaces, in the correct order. Apart from learning to dress herself in the right order, your child can learn to take care of herself and others.